On Tuesday, November 17th, Fox News and Bill O’Reilly made a series of false accusations against Shaun King. Primary among those accusations was that Shaun raised money for charities or foundations that never existed. This was a complete and total fabrication that we debunked here. Even more dangerous was the lie that Shaun King stole money as a leader of the Black Lives Matter movement. Not only did Shaun hardly raise any money for his own organization, he has returned every donation back to donors. In highly visible campaigns, Shaun King raised nearly $500,000 for families affected by police brutality. Not a single penny of those funds ever went to Shaun King or any business or charity that he manages. These campaigns, which combined still do not exceed the money raised online for Darren Wilson, have made Shaun a very public target. Shaun King is the most visible fundraiser in the Black Lives Matter movement. Shaun King raised over $100,000 for the family of Tamir Rice. Early on lies began spreading that Shaun stole this money. Attorneys for his estate and the family itself repeatedly thanked Shaun for his help and publicly declared that they received 100% of what was raised. Shaun King was accused of stealing money he raised for the family of Eric Garner. 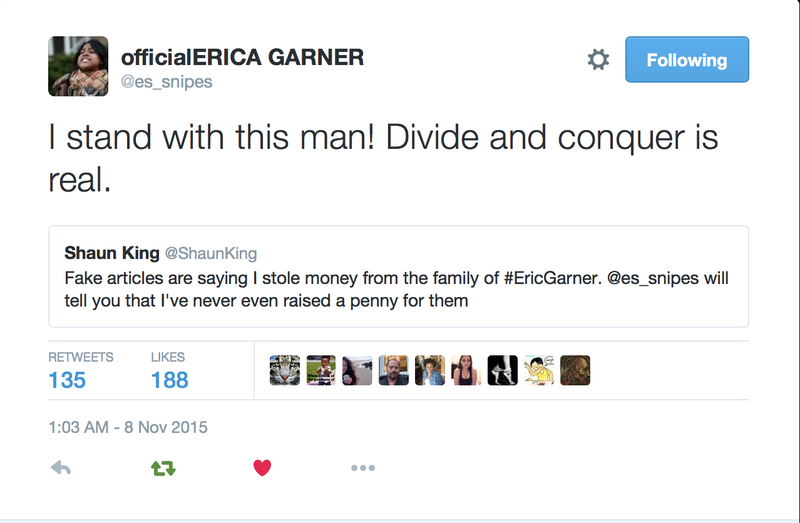 Shaun never even raised money for the family of Eric Garner. His daughter, Erica, wrote this in public support of Shaun and the efforts to discredit him. Every single family affected by police brutality that Shaun has helped has been publicly and profusely thankful for his support. Not only that, they’ve been forced to waste time and emotional energy explaining that he never touched the funds he raised for them. A month after Mike Brown was murdered, Shaun began preparing to start a justice organization called “Justice. That’s All.” This organization eventually became named “Justice Together.” They are not separate organizations, but an evolution of the same charity. Justice Together is a properly registered 501c3. The federal EIN/tax ID # is: 47–3708562. In contrast to the $500,000 Shaun raised for police brutality victims in 2014, he raised $5,857 for his own charity in 2014. In the interest of his own integrity, transparency, and public character he has returned 100% of those donations. In 2014, while raising $5,857 for his own charity, Shaun was a well-paid full-time journalist for Daily Kos and opted against using his own social network for public fundraising — except for police brutality victims. In 2015, online donors gave $9,723 to Justice Together. Again, Shaun opted against using his own influential social network for fundraising for Justice Together and instead focused primarily on fundraising for families affected by police brutality. In the interest of his own integrity, transparency, and public character, Justice Together returned 100% of those donations — even against the wishes of over one hundred donors who asked that they not be refunded to them. Shaun then encouraged each donor to give those refunded funds to a justice charity or cause of their choice. Here is a donor who provided an actual screenshot of his full refund. Here is another donor speaking publicly about receiving a full refund of every donation made. Like all 501c3’s, Justice Together will file taxes for 2015 and issue a public annual report soon thereafter. It is preposterous to paint Shaun King as a “scammer” or a “fraud” in these endeavors when he has actually gone out of his way to be transparent and forthcoming. The total amount of money raised for Justice Together is actually not even in the top 50 for justice focused charities in 2015 — some of which have budgets over $1,000,000 per year. Not only that, but Shaun has refused to be paid from every single speaking engagement, guest editorial, or media appearance from August of 2014 until today. Shaun did this, knowing full well that he and the movement would be criticized otherwise. Shaun King spoke at Yale Law School for free. Shaun King spoke at Morehouse College for free. Shaun King spoke at Georgia Tech for free. Shaun King spoke at Spelman College for free. Shaun King spoke at the Supernova South conference for free. Shaun King has appeared as a regular weekly guest of the Karen Hunter show on SiriusXM for free. Shaun King wrote a guest editorial in Ebony Magazine for free. Shaun King wrote a guest editorial in The Guardian for free. Shaun King has appeared on CNN & MSNBC for free. These lies about Shaun and his character must be debunked and addressed head on. Unfortunately, Shaun and his wife, Rai, have even been forced to explain how many children they have after media outlets accused them of lying about the number of kids. See where this lie was debunked here. Shaun King is being attacked because he is effective. Bill O’Reilly, who never even mentioned Shaun’s name until this week, is clearly doing so because Shaun caught Bill in a lie about the Black Lives Matter movement. In a corner, instead of addressing the lie, Bill has chosen to attack Shaun. 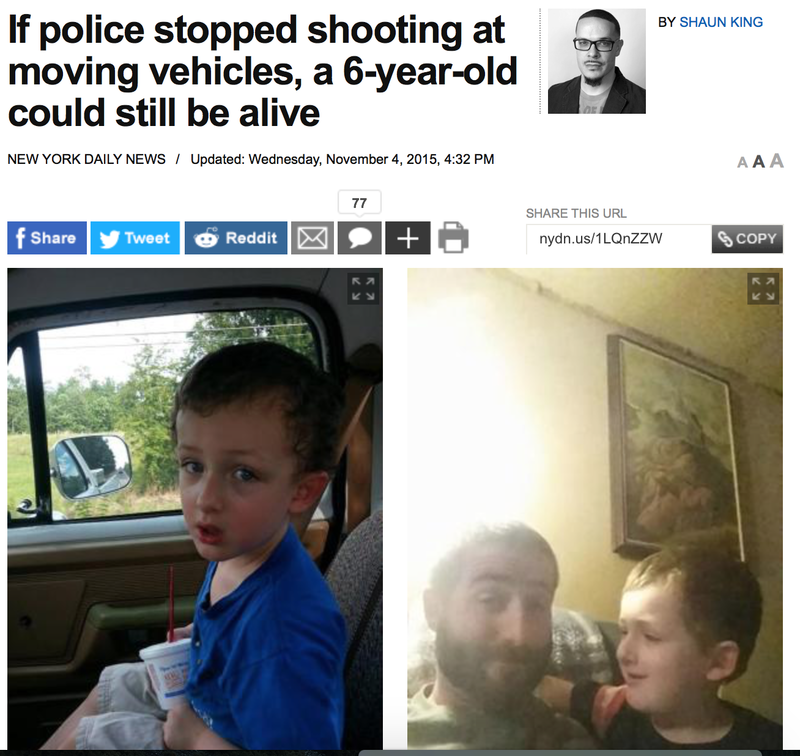 On November 9th, at 3:10pm, Bill O’Reilly said that the Black Lives Matter movement had been silent about the police murder of 6 year old Jeremy Mardis. This was an egregious lie. He doubled down that evening on air. Here is his tweet. A full 5 days before Bill O’Reilly began exploiting the death of a 6 year old to discredit Shaun and the Black Lives Matter movement, Shaun wrote this tweet, which was retweeted over 5,000 times. On Wednesday, November 4th, at 4pm, Shaun wrote one of the first national stories about this young boy being killed in the NY Daily News. This was 5 days before Bill O’Reilly began exploiting his murder and lying about Shaun King. 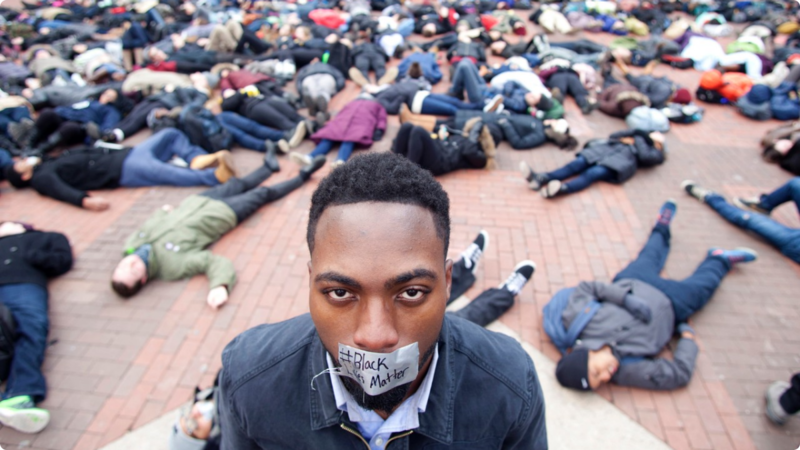 These lies about Shaun and about the Black Lives Matter movement are dangerous. We will continue to address them head on. Please share this and share the truth.